Beautiful wing shape in 24G copper. 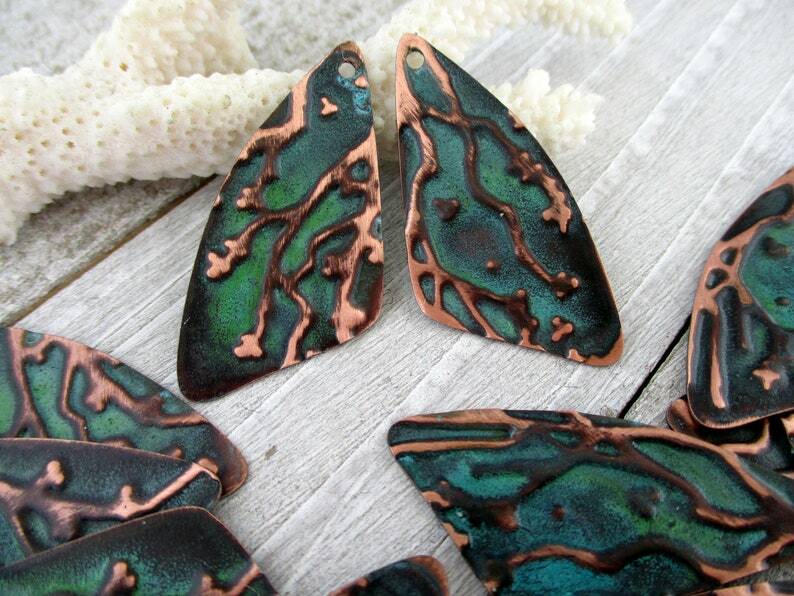 Embossed and hand applied a verdigris patina. I seal them with several coats of lacquer to protect the surface patina. They have a 2mm hole for hanging. These are handmade by me and very limited quantity. 3.2mm COPPER Ball Chain, WABI-SABI Patina , Hand Applied Patina, by the Inch, 6" to 36"